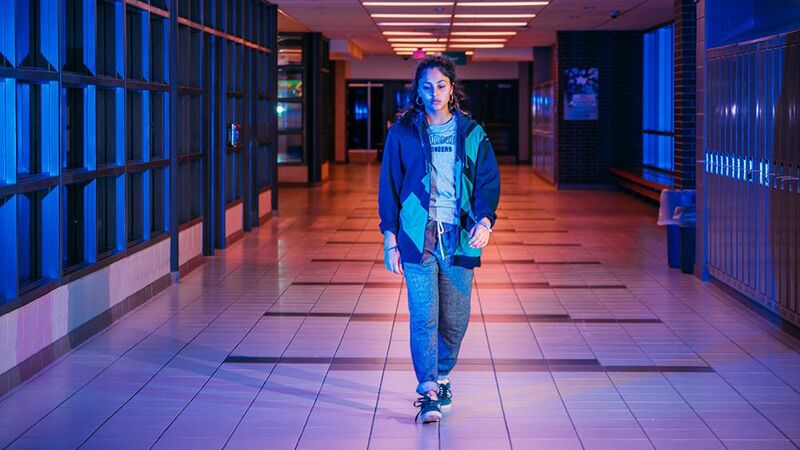 These filmmakers made waves at the latest New Directors/New Films festival. t can be a little overwhelming — even for people who make their living writing about movies — to find and celebrate talented up-and-coming talented filmmakers. Dozens of movies come out every week in theatres and on streaming services, and it can be tricky to find the gold among the dross. That’s why I love the New Directors/New Films festival, which has been happening in New York every March for nearly half a century. It’s a joint venture between the Film Society at Lincoln Center and the Museum of Modern Art, whose curators select some of the most intriguing films of the year so far from emerging filmmakers. Often, its movies previously appeared at Sundance or the Berlin Film Festival. And while the mix can be a little messy, it’s always interesting. This year’s festival was no exception — and if you like movies, you’ll want to keep an eye on these. Here are seven films, both fiction and nonfiction, from the 2019 edition of New Directors/New Films worth your notice. 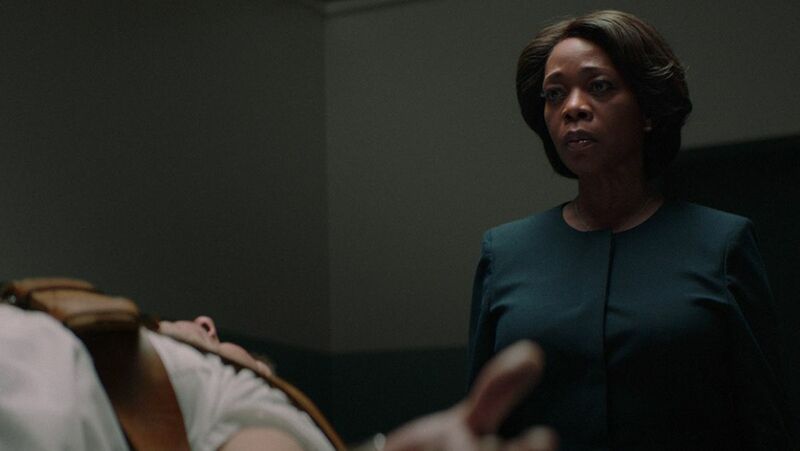 Alfre Woodard stars in Chinonye Chukwu’s Clemency. Bernadine Williams (Alfre Woodard) has worked as a warden at a maximum-security prison for years, and it’s clearly been wearing on her health, her marriage, and her soul. She sees her work as important — caring for the inmates and quietly supporting them as they approach their execution dates. But then a lethal injection goes awry, and as the date for the next one approaches, she finds herself reaching a breaking point. Clemency won the Dramatic Competition Grand Jury Prize at Sundance in 2019, and it’s easy to see why. Director Chinonye Chukwu crafts a heavy, deliberate film, with rich, widely framed shots and dark colors that make the emotional toll on not just Williams but her coworkers, their families, the inmates, and the inmates’ loved ones extra clear. Anchored by an absolutely stunning performance from Woodard, it’s an unusual way to expose the injustices of the capital punishment system without forgetting the individuals who are stuck in its gears. Clemency will be distributed in the US by Neon. A scene from Ljubomir Stefanov and Tamara Kotevska’s documentary Honeyland. Honeyland is a vibrant, fascinating, and sober documentary that examines a serious issue — the endangerment of bees — by way of a human portrait. 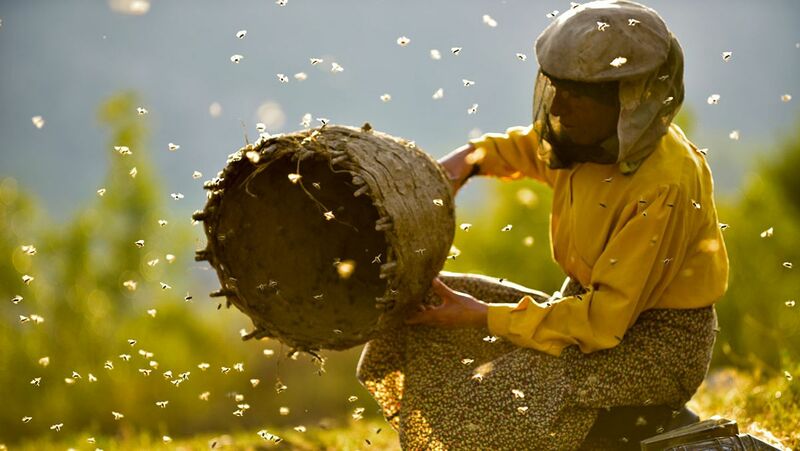 Hatidze Muratova is the last beekeeper in Macedonia, who lives on a quiet, secluded mountain and cares for her elderly mother. Her life’s work, as she sees it, isn’t just to keep the bees; it’s to help restore balance to the ecosystem around her, and bees are a vital part of that. But that solitude is disrupted when a family of nomadic beekeepers arrive, seeking honey to sell. They not only disrupt Hatidze and threaten the insects’ existence — they invade an established way of life on the relatively untouched mountain. As the film progresses, different ways of thinking about commerce as well as beekeeping and the natural world come together in a story that is sometimes funny, sometimes beautiful, and often enlightening. Honeyland will be distributed in the US by Neon. A scene from Luke Lorentzen’s documentary Midnight Family. Nine million people live in Mexico City, but the government only maintains 45 ambulances to serve that entire population; private ambulance companies have stepped in to pick up the slack. 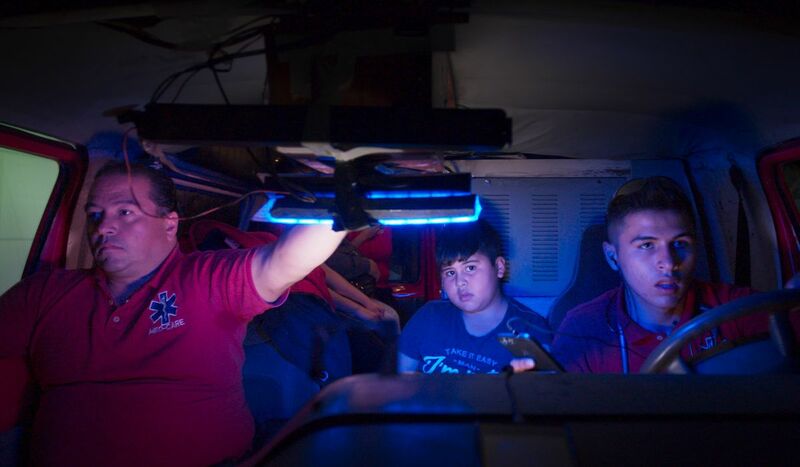 The documentary Midnight Family follows one such company, run by the Ochoa family, who ride their ambulance through the streets overnight, hoping to beat other companies to the scene of a sudden illness or accident, and to help — while gaining business too. It’s difficult work, and it clearly feels ethically tricky. The Ochoas are forced to ask family members and friends of their patients for money while those patients are in critical condition, and often find they come up short. But director Luke Lorentzen manages to also capture their compassion and their own economic instability, as well as the heart-thumping adrenaline rush that often accompanies their line of work. The result is a sweet, fascinating portrait of a group of people trying to make the best of a bad situation, and sometimes succeeding. Midnight Family is awaiting distribution. A scene from Alejandro Landes’s Monos. It takes a long time to get your bearings while watching Monos, a fictional tale that feels like it could be inspired by Lord of the Flies. 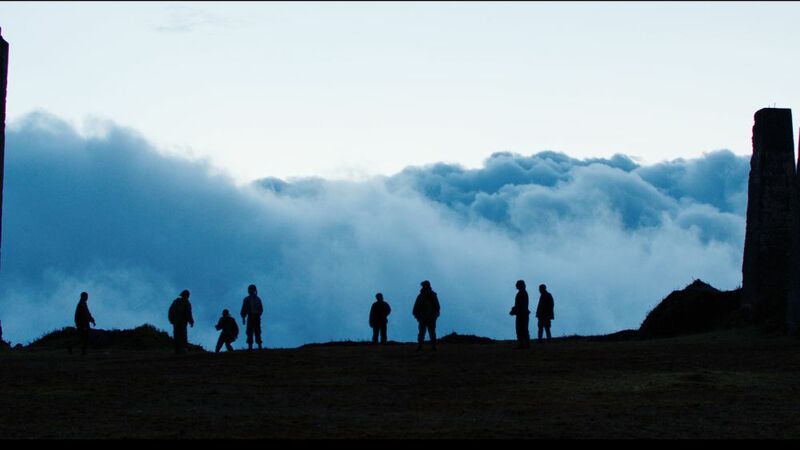 A band of fierce young people live in a Colombian jungle alone, conducting training exercises and waiting for directives from some entity called “the Organization,” which remains shadowy throughout the film. Between training exercises, they eat, drink, and goof around, calling one another by their nicknames — and interacting with their hostage, an American doctor (Julianne Nicholson). We never really get a sense of what they’re doing, what the Organization’s purpose is, or why the group has a hostage. Monos isn’t interested in those details. It’s more of a sketch of organizational dynamics, of why young people join groups and why they leave them. With an arresting young cast (featuring Sofia Buenaventura, Deiby Rueda, Julián Giraldo, Sneider Castro, Paul Cubides, Karen Quintero, and Moises Arías) and a gritty, jarring cinematic style, Monos is less likable than admirable, an achievement with a clear, apocalyptic vision. Monos will be distributed in the US by Neon. A scene from Sofia Bohdanowicz’s MS Slavic 7. Campbell plays Audrey as a very serious young woman, and one whom we can’t quite sort out at first. We watch her talk about the letters to an unseen entity several times before we find out who that person is, and a spat she has with an older female relative is threaded throughout the film, slowly revealing what exactly is going on. It turns into a wryly funny story, though one that never forgets that it’s also about communication and legacy, and about what we think we know about others versus what we trick ourselves into believing. MS Slavic 7 is awaiting distribution. The Plagiarists sends up American indie films and the notion of original ideas. The Plagiarists seems calculated to infuriate everyone who watches it, but that’s very much the point. Experimental filmmakers James N. Kienitz Wilkins and Robin Schavoir co-wrote and produced the film, which they shot on vintage news cameras, giving it the look of a very low-budget feature. 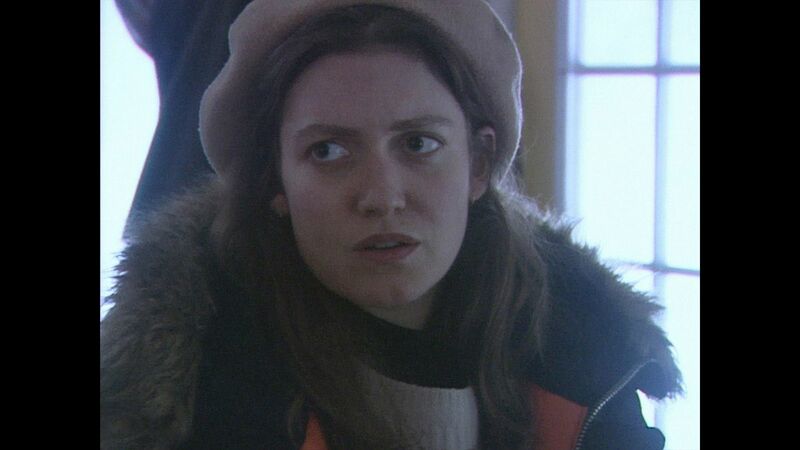 In the story, a young novelist (Lucy Kaminsky) and her cinematographer boyfriend (Eamon Monaghan) are waylaid by a snowstorm on their way to visit a friend, and end up spending the night at the home of a kind stranger (Michael “Clip” Payne), who inspires them to pursue their creative dreams. Then, months later, they discover something very strange about his advice — and it calls everything they think they know about their wintry encounter into question. The Plagiarists is a cheeky riff on the idea that it’s possible for anyone to make honest, original work. Is being an artist just being a plagiarist? 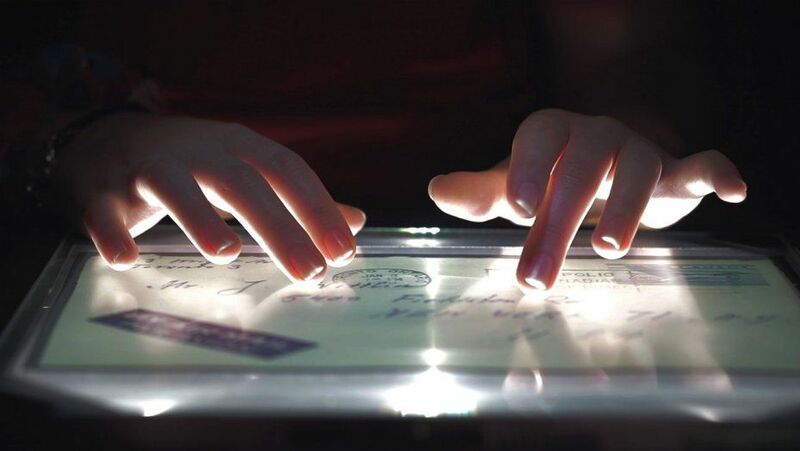 And if that sounds like a well-worn — and maybe pretentious — basis for a film, there’s a twist: In both style and substance, The Plagiarists is recognizably ripping off and skewering a low-budget, talk-heavy strain of American independent filmmaking, featuring young creative wannabe artists and their faux-intellectual musings. It’s more interesting as an exercise than a film, but it’s funny and clever — even if it’s not truly original. The Plagiarists is awaiting distribution. A scene from Pippa Bianco’s Share. One morning, high school student Mandy (Rhianne Barreto) wakes up on her lawn, unsure how she got there. Soon, a video emerges and circulates among Mandy’s peers that appears to contain footage of her — and may indicate that she was assaulted at a party. But she has no memory of the incident, and she is desperate to find out what happened, especially after her parents see the video. Share has to thread a delicate needle, being on the one hand about possible sexual assault, and on the other hand about the tricky ways that teenagers’ social and personal lives complicate the questions of responsibility and truth. First-time feature director Pippa Bianco tells Mandy’s story with care, and injects it with a feeling of dread and uncertainty, bringing us into Mandy’s headspace to create a sensitive, complex, important film — particularly in a world where the lines of consent and accusations of sexual assault still seem to be up for debate. Share will air on HBO later this year.